Choosing the right way to save for retirement based on your personal needs is easier said than done. 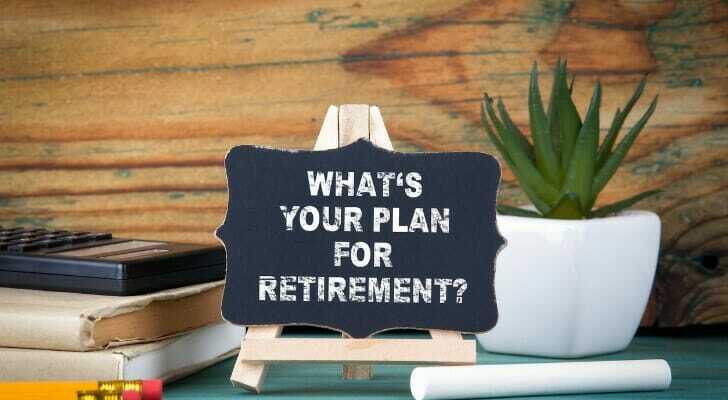 There is a plethora of options available, with annuities and 401(k) plans being some of the most prominent. While these two popular retirement savings vehicles are similar in some ways, they also have important differences, as well as times you can best utilize them. Below, we detail what should make or break your annuity vs. 401(k) decision. A 401(k) is a tax-deferred retirement account you can often get through your employer. You contribute money to it, customarily as a regular deduction from your paycheck. You don’t have to pay taxes on earnings contributed to a 401(k) at the time you make them. An exception to this, though, is a Roth 401(k), which you fund with after-tax money. The money in your 401(k) is invested in mutual funds, exchange-traded funds (ETFs) or other investments as you choose. When it comes time to stop working, you can withdraw funds from the account to pay for your retirement. You don’t have to pay taxes on the money until you withdraw it. The funds in a Roth 401(k) are, again, exempt, as you’ve already paid taxes on your contributions. An annuity is basically a life insurance policy set up to work as an investment. Put another way, an annuity is a contract between you and a life insurance company. You give the insurance company money, either in a single large premium or in small regular premium payments. In return, the insurance company promises to pay you a certain amount every month. Usually the payments start when you retire and continue until your death. Although you can fund an annuity with pre-tax money in a 401(k), you usually would purchase an annuity with after-tax money. The earnings from the annuity are then taxable when you withdraw them. However, the initial amount paid for the annuity is usually not taxable because, like a Roth contribution, you’ve already paid taxes on it. The exception is an annuity purchased with pre-tax money. In this case, the original contribution would be taxable when you make withdrawals. While anybody can buy an annuity, only people whose employers have 401(k) plans can contribute to one. 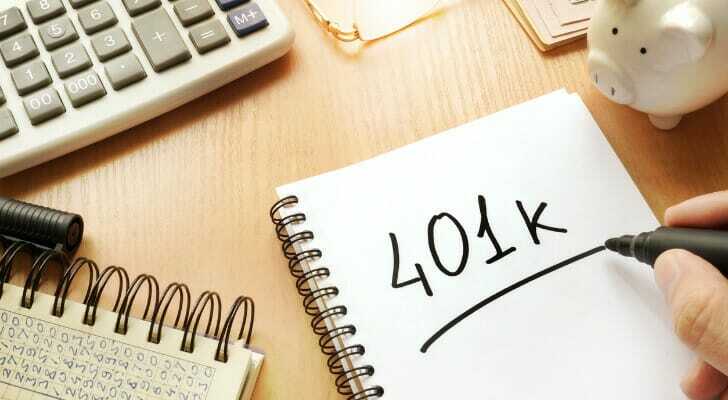 If your employer doesn’t have a 401(k) program, you cannot contribute to one. Anyone who’s self-employed can set up his or her own 401(k), though. Fees are another major differentiator. It’s typically quite easy to check the fees you’re paying for your 401(k). To do this, simply ask your plan administrator for an explanation of any fees charged to your account. Annuity fees are much harder to figure out and are often significantly higher. In particular, you may pay steep sales commission fees for an annuity, benefit rider fees and more. If you withdraw funds from your 401(k) before age 59.5, you may have to pay a 10% early withdrawal penalty in addition to the income tax due on the amount you withdrew. Annuities have their own early withdrawal fees, as well as annuity surrender fees. Annuity surrender fees are reduced as time goes by, meaning they’ll usually disappear after five years. Another way annuities and 401(k) accounts differ is that you can borrow from your 401(k), while you can’t from an annuity. Plus, most annuities provide unchanging regular payments, which means you won’t have inflation protection. Inheritance is another point of discrepancy. Heirs can inherit your 401(k), while annuity payments typically cease with your death. Some annuities, however, allow you to pay more to purchase an annuity with a death benefit that will, like a regular life insurance policy, pay money to designated beneficiaries. Another big difference is that an annuity offers a guaranteed payment for as long as you live. That means, at least with most annuities, you can’t run out of money. A 401(k), on the other hand, can only give you as much money as you have deposited into it, plus the investment earnings on that money. If the market goes down, annuity payments keep coming. The same can’t be said of a 401(k), which is subject to market cycles. That also means that if your 401(k) investment choices do well, you could have more money. With an annuity, you don’t benefit if the market is up, unless you take your chances with a variable annuity. There are limits on the amount you can contribute to a 401(k). For 2019, contribution amount is $19,000. It increases annually, and if you’re 50 or over, you can put in another $6,000 a year. Your employer may match all or part of your contributions as well, which will further increase the amount going into your 401(k). With annuities, there are no such limits, so some people buy them with one-time payments of sometimes $1 million or more. If you’ve maxed out your 401(k) contribution and want to sock away more, an annuity will let you. Savings for retirement requires lots of financial planning. There are many considerations that go into how you build your finances for your golden years. If you find yourself overwhelmed at the prospect of dealing with this, perhaps partnering with a financial advisor could help. The SmartAsset financial advisor matching tool will pair you with up to three local advisors based on your answers to a short questionnaire about your personal financial situation. Don’t forget to integrate Social Security payments into your retirement plans. While they may not have a monumental effect on your finances in retirement, they can provide you with some extra cash at a time when you’ll need it most. To gain some insight into what you can expect from this government program, take a look at SmartAsset’s Social Security calculator. The post Annuity vs. 401(k): Which Is Better for Retirement? appeared first on SmartAsset Blog.